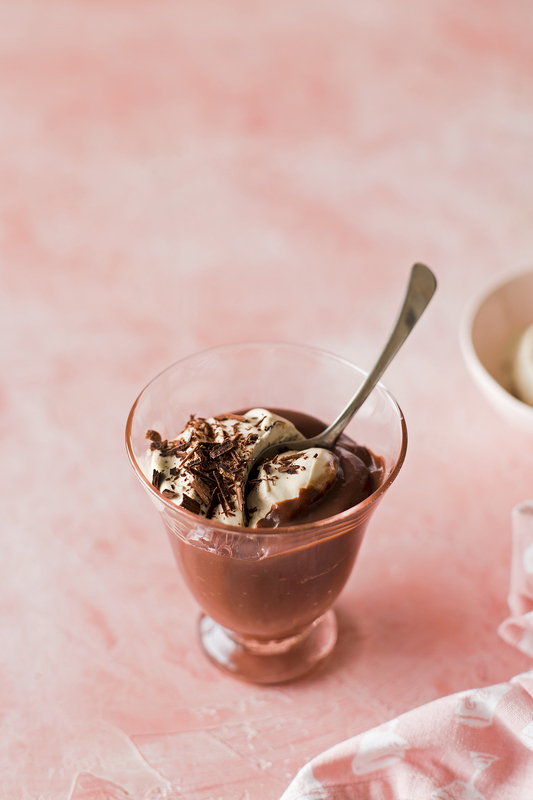 Have you ever made chocolate pudding from scratch? It’s silky and rich and worlds away (IMHO) from the powder packet or plastic cup varieties. I can take a pass on all other chocolate puddings but cann0t resist a good homemade version. One of the things that stovetop puddings are notorious for is developing a “skin” on top, it’s a rubbery protein film that happens on the surface of the pudding as it cools (#science) and to many of us it’s totally gross–though there are people in this world who love to peel off that layer and eat it, to each their own… But! I’ve found a little trick to eliminate that skin and leave you with pure, silky pudding goodness. I saw a little article by Cook’s Illustrated that sieves the finished pudding to eliminate the dreaded skin. 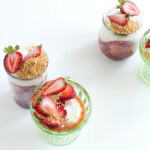 I took it one step further with the help of one of my favorite kitchen appliances–the immersion blender. I already use it to emulsify the butter into my puddings and smooth out the mixture at the end of cooking instead of sieving, so I wanted to see if I could just use that and save myself a dish to wash and it totally works! It starts by making the pudding, then letting the skin develop on top. Yes, we eliminate the skin by just letting it happen. The skin begins to form almost immediately so I just let it cool to room temperature then take my immersion blender and blitz the skin right back into the pudding. It blends in, somehow breaking up that protein structure, and leaves you with a smooth, homogenous pudding that you can chill without pressing any plastic directly on top of the pudding. Viola! 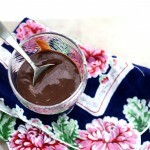 You can use either natural, Dutch-processed, or a blended cocoa for this pudding! Whatever your favorite variety is the one you should use. 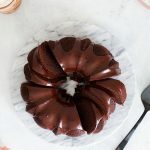 If you’ve been following along for a while you might already know that I am loyal to Valrhona cocoa which is Dutch-processed (you can read more about it in this post) and lends the pudding a dark, rich color and flavor. Natural cocoas will give you a bit of a different flavor profile and lighter color. Experiment with your favorite! If you don’t have an immersion blender, you can use a food processor or a blender! Or, try the method linked abocve in the Cook’s Illustrated article. 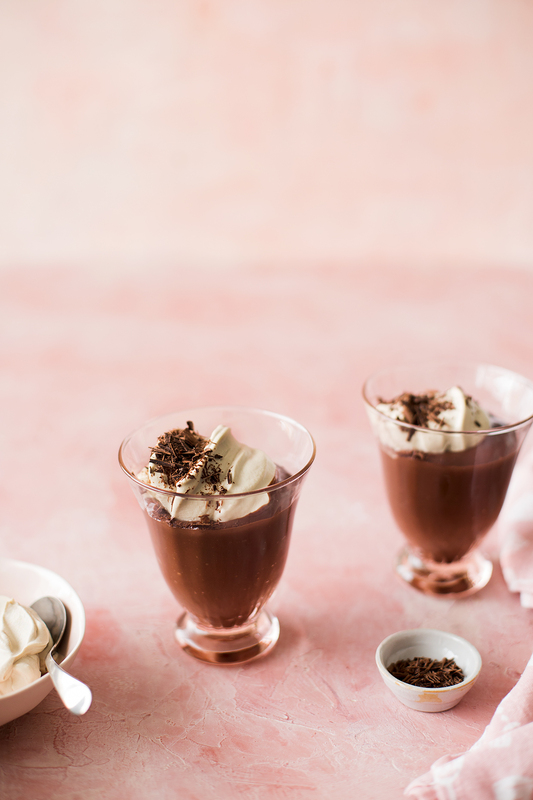 Silky, stovetop chocolate pudding with lush espresso whipped cream. In a 4-quart saucepan whisk the sugar, cornstarch, cocoa powder, salt, and egg yolks together until well combined. Whisk in the milk until smooth. Whisk the mixture constantly over medium heat until thickened and a bubble forms and breaks the surface. Turn the heat to low and continue to whisk constantly for an additional minute. Dip a spoon into the pudding, it should be thick enough to coat the back of the spoon and leave a defined trail when you run a finger across it. Remove from the heat and add the chopped chocolate, let it sit for a minute to melt. Using an immersion blender (or pour the pudding into a food processor or blender canister) blend in the chocolate, butter, and vanilla. Scrape the pudding into a bowl and cover with plastic, allow a skin to form while it cools. Once it has cooled to at least room temperature and a skin has formed on the top, use your immersion blender (or food processor or blender) to blend the skin back into the pudding. Cover the bowl with plastic or place it in a lidded container and refrigerate until chilled before serving. To make the cream, beat the heavy cream, espresso powder, and confectioners sugar together until you achieve a medium peak. 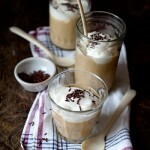 To serve, dish the pudding into bowls and top with the espresso whipped cream. You have chosen two of the best ingredients to make this beauty :-) Thank you so much ! 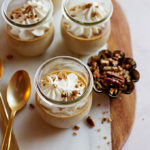 I absolutely love the trick you’ve mentioned to eliminate the skin on the puddings. 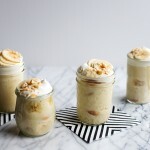 I love a rich homemade pudding too. For some reason, store bought chocolate puddings taste synthetic, probably because of all the chemicals added to preserve them! 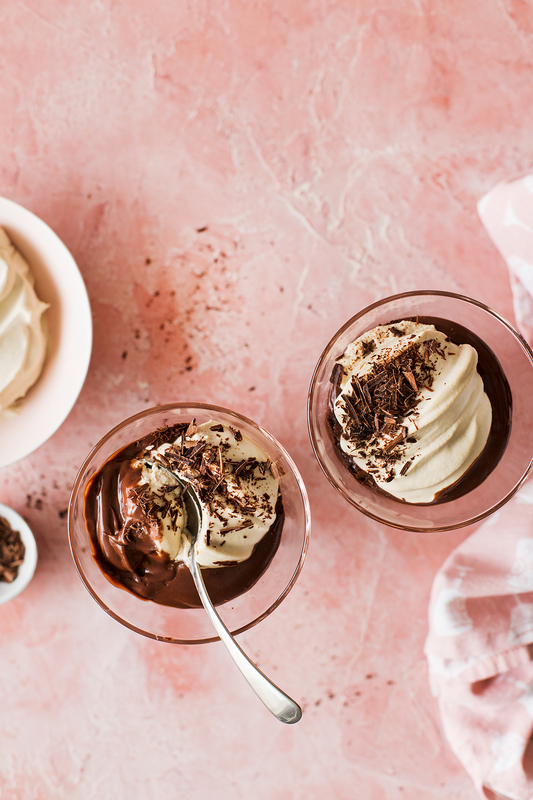 I love how easy it is to make this chocolate pudding and I swear by Valrhona cocoa as well – it just adds a beautiful richness to chocolate based desserts! Totally agree on Valrhona! and thank you!! Hot pudding is also delicious!! Hi Cindy, I am just making this and I notice that the ingredients list cream once but the method lists cream twice. How much cream goes into the pudding mixture? Sorry about that! The cream is only used once (in the whipped cream, not in the pudding). So sorry for the confusion! !